Join us for a Pratt-specific study away student panel on West Campus. 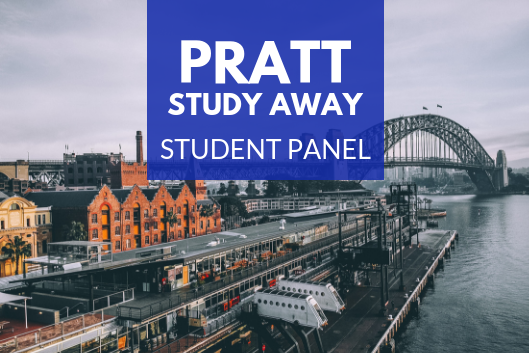 Whether you know nothing about study away, you have just started looking into it, or you know exactly where you're going, come and hear firsthand how others navigated their intense Pratt schedules to find a way to study abroad/away! Pizza will be served. The applications for for many study away programs, both Summer 2019 and Fall 2019, are open now and deadlines are coming up soon. Plan now to get your application completed on time!